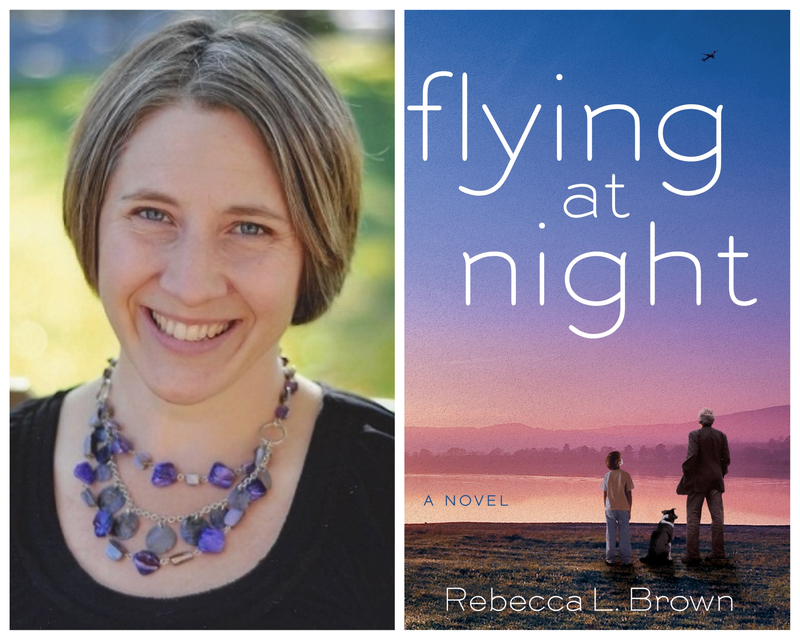 A Room of One's Own is delighted to welcome Rebecca L. Brown, author of the debut novel Flying at Night, for a book launch party, reading, and signing! Rebecca L. Brown lives happily in Madison, Wisconsin with her very handy husband, three busy sons and two good-looking but useless dogs. She teaches Four Year Old Kindergarten at a Madison nursery school and falls in love with her job all over again every day. Her writing has been featured in Brava Magazine. In 2015 her essay was included in the national anthology titled “Listen to Your Mother: What She Said Then, What We’re Saying Now” published by Penguin (2015). When she isn’t busy mothering, teaching or writing, she splits her time between serial “do-it-yourself-ing", speed reading, and pretending to understand whatever video game her children are obsessed with. Her debut novel Flying at Night will be released by Berkley Books, an imprint of Penguin Random House in April of 2018. She is currently at work on her next novel. You can follow Rebecca on Facebook, Twitter, and find more about her at her website, www.rlbrownbooks.com. Flying At Night When the world you know suddenly changes, you can find yourself flying blind. Lance Whitman is a commercial airline pilot nicknamed “the Silver Eagle” by the public and the media for his heroics in the air. But his daughter Piper knows him as her emotionally abusive and distant father, and the scars of her childhood haunt her still as an adult. Piper is also the mother of nine-year-old Fred, a precocious, voracious reader obsessed with World War II and airplanes and is endlessly observant—yet doesn’t have any friends. As she learns the truth that her son is autistic, a tragedy hits: Piper's father suffers a heart attack that leaves him brain damaged, and her mother decides to abandon their unfulfilling and abusive marriage, leaving Piper as his caregiver. Suddenly, the father that Piper worked so hard to distance herself from becomes entangled in her life again as he and his dog, the loveable Chuck Yeager, move in with her and her family during his recovery. Told in three perfectly rendered voices—Piper, Fred, and Lance—FLYING AT NIGHT explores universal questions of love, family, marriage, friendship, and forgiveness. Drawing on personal experience as the mother of an autistic child, Rebecca L. Brown realistically inhabits these characters and voices, coaxing out the tough questions and decisions the family faces in their new normal.